A guide for your weekend brunch excursion with the whole family or your friends. 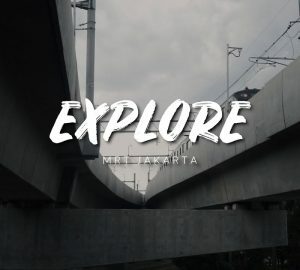 We pick the best in the city! Every Sunday brunch, Signatures Restaurant is welcoming kids of all ages to the restaurant! From a kids’ playground to the kids buffet, your little ones will enjoy a suite of delights and a safe yet stimulating environment at the Kempinski Little VIP playground. 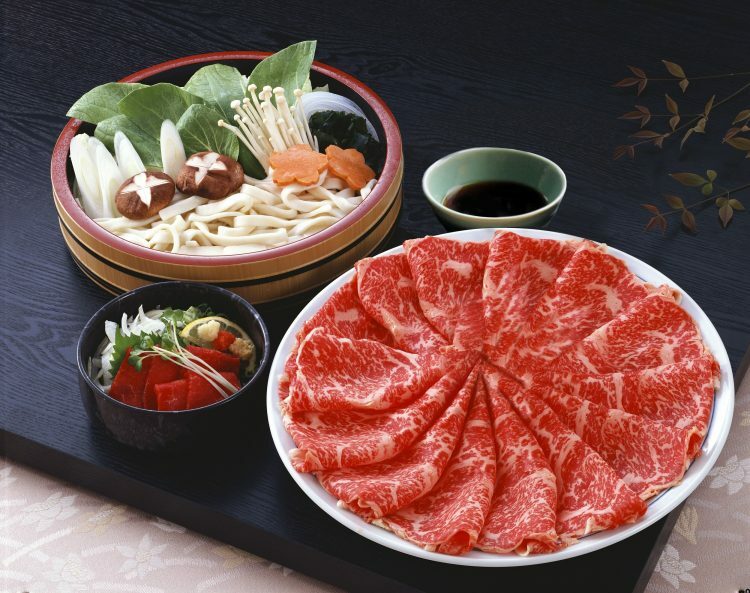 The most special highlight during the Sunday Brunch at Sana Sini Restaurant is the Shabu-shabu and Sukiyaki with Omi Hime beef, which refers to cuts of beef from Black Japanese female cattle which have been raised in Shiga Prefecture, Japan. Among many types of premium Japanese wagyu beef, Omi beef is the oldest one with over 400 years history that is popular for the clean aftertaste of its marbled fatty meat since the cows are painstakingly raised that resulting of extremely delicious meat. The soft texture of Omi beef making it the ultimate luxurious meal that can only be found in Shiga. 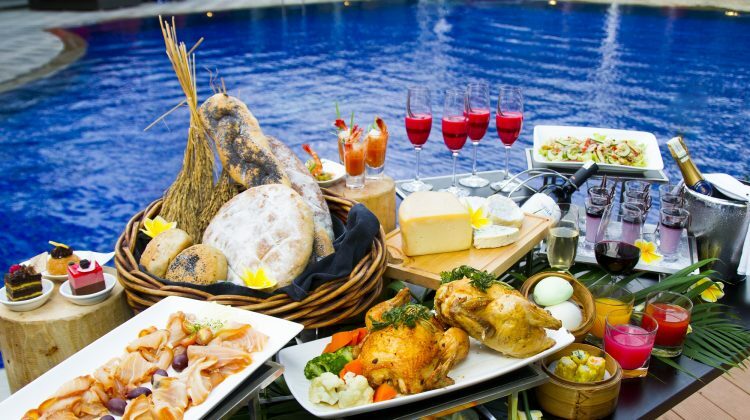 This magnificent brunch is available every Sunday from 12.00pm to 3.00pm with buffet style includes unlimited servings of non-alcohol beverages with price at IDR 520,000++ per adult. Free flow wine package also available with additional IDR 390,000++ per person. For reservations and information, please contact (+62 21) 3192 1111 or H8491-FB3@accor.com. Seize a break from a busy weekend, come and relax at our Sunday Brunch, featuring a wide variety of mouthwatering International and Asian cuisines ranging from Italian, Indian, Japanese and Western. 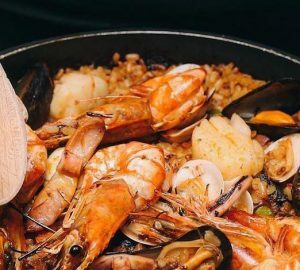 There are also live cooking stations such as pan-fried foie gras, teppanyaki and noodle stations and wide variety of dessert selections to cleanse the palate, including chocolate fountain and artisan ice cream collection. At Raffles Jakarta, Executive Chef Matias Ayala and his brigade present Raffles Sunday Brunch, every Sunday from 12:00 PM – 3:30 PM at Arts Café. 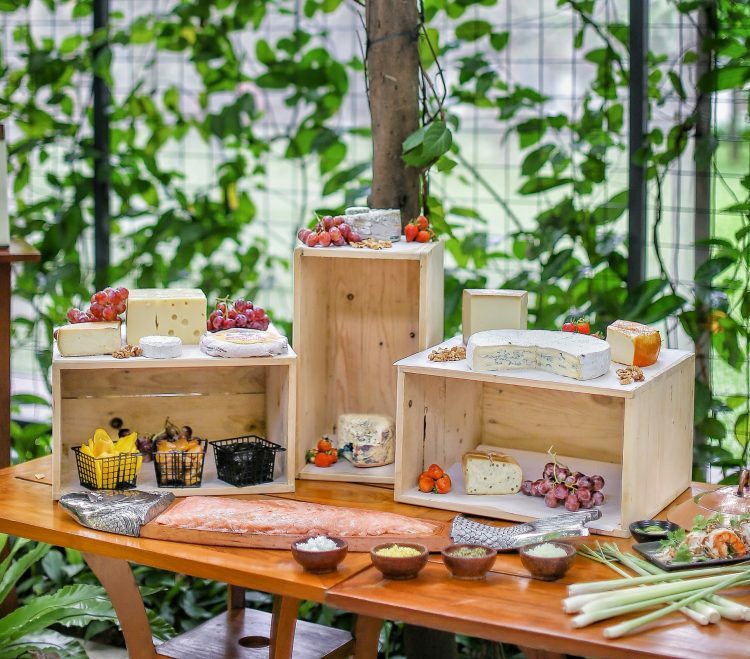 Expect a virtual tableau of art and cuisine, where the palette of sights, sounds, textures and aromas from open kitchens create a delightful sensory experience. Enjoy superb Continental and Asian specialties in a refined buffet experience, served in chic interiors and a backdrop of vibrant Hendra Gunawan artwork. A delightful twist: the day’s signature entrees are done a la minute and offered to your table. Desserts are scrumptious and simply divine. The mini VIPs will also be amused with an exceptional food selection in Kids’ Corner. IDR 688,000++ per persons including complimentary juices and soft drinks. IDR 344,000++ per child (ages 6 to 12 years) with complimentary free flow coffee, tea, chilled juice and soft drinks. 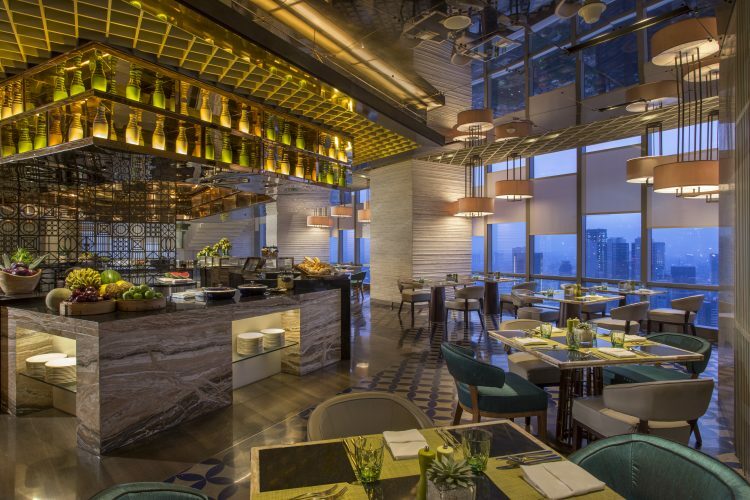 Perched on the 51st floor, our signature all-day dining restaurant Seasonal Tastes welcomes you with a vibrant and inviting atmosphere. Wall-to-wall, floor-to-ceiling windows overlook dramatic city views while an open kitchen sets the stage for a dynamic dining experience. 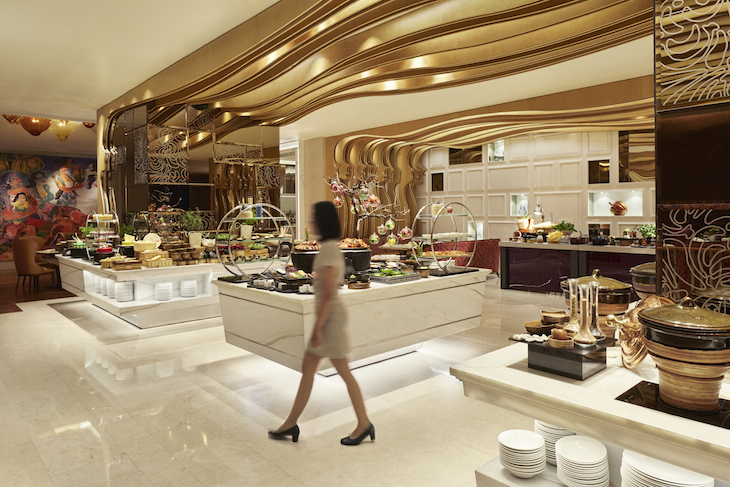 Our culinary team presents enticing buffets throughout the day. 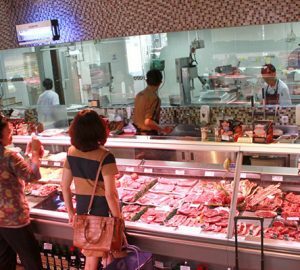 Market fresh selections are prepared to order at seven different live cooking stations, which draw influence from Western, Indian, and Asian cuisines. 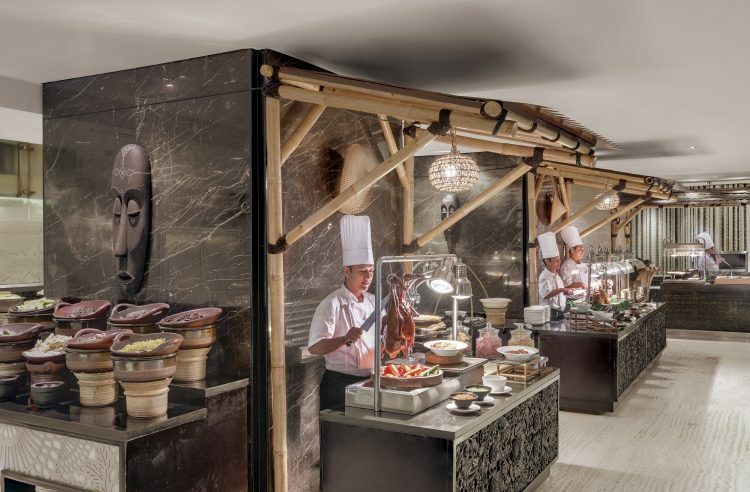 Featuring extended carving section, flavorful Indonesian barbeque fish, fresh fish platter, sushi and salad bar are sure to please the guests.